The Grail Comes Home. Welcome Toffee! Ok. I know. I’ve posted heaps this weekend, it’s been Dolly madness. I was meant to wait to share this girl with you but I. Could. Not. Please welcome the Grail – Toffee by Poison Girl. Toffee is gorgeous. 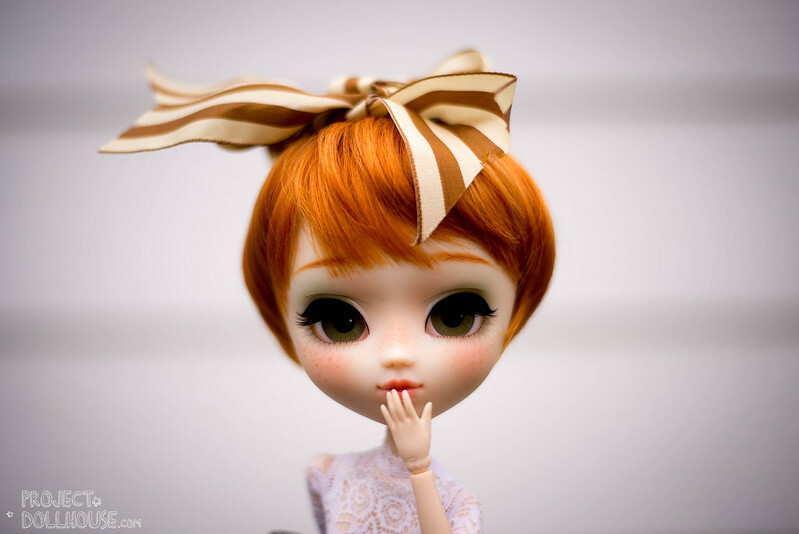 She has cropped carrot coloured hair, olive green eyeshadow and a light smattering of freckles. Maria, AKA Poison Girl, is super precise in her work, the lashes and lines are drawn impeccably – she’s definitely my face-up… hero? Like, aspirations maybe. Toffee has matching green eyelids with pink and white polka dots on her as well. And my goodness. She’s a photogenic girl! Aquabliss had put her on an Obitsu body, and I have to say, I LOVE it on her. She’s on a size 27cm with a squishy bust. The obitsu poses so well, and I can get Toffee to sit without her tipping backwards. I think I will need to acquire a few more Obitsu’s for some of my other girls. Look at her. How stunning. I thought having one Poison Girl would satiate my need for one… but all it has done is made me realise how beautiful they are. Eyes peeled forever. I’ve been working on a commission for someone and this is the packaging box that I made to send the girl out. I let Toffee borrow it for some pensive posing before then! She’s completely rocking her ChuThings dress as well, which was meant to be fit for Blythe, but fits perfectly on the 27cm Obitsu. I don’t think I am able to convey properly how grateful I am to have the opportunity to own such a stunner. I have quite a collection, but some girls are just -special- if you get what I mean? She brings a giddy grin to my face whenever I look over to her. And I am constantly going over to her and re-posing her on my shelf. A friend came back from Japan and gave me a whole bunch of Re-ment. They all belong to toffee now, because she holds them so daintily. I’ll be making her a sweet diorama. Thank you so much! I was over the moon when I saw her. Also I have a new appreciation for Obitsu Bodies. What!! This is a good dolly week for you!!! She’s so pretty! And her slightly bobbed short hair is so gorgeous and looks like a dream to keep tidy! Such a good dolly week. I have a lot of photos I took over the weekend that need editing now (some 200)… so…yes. I overdid it! Oh I’m sorry to be so late to write! Finally I could! How can I thank you for the amazing things you said… Well, I didn’t do anything special, I just decided she wanted to go to a new home and there you were, the most thoughtful and kind “adoptress” ever! 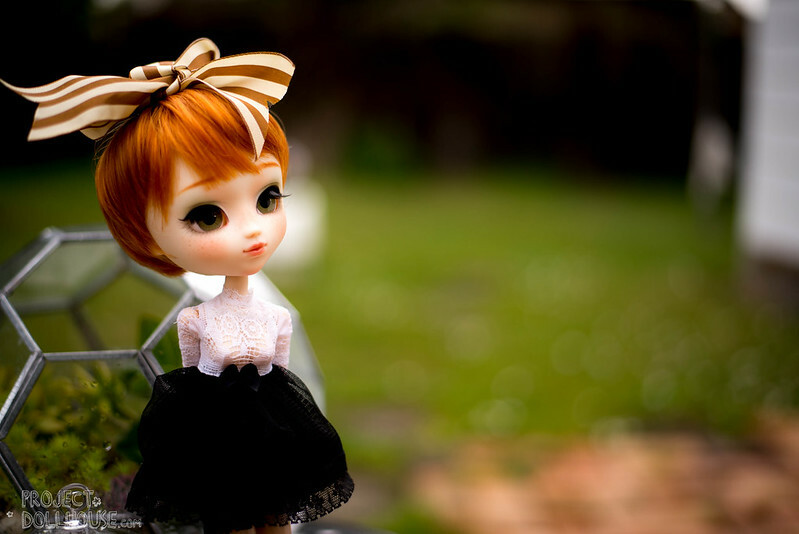 ^_^ I’m truly happy it was you who got her, because she must be one of the most loved girls ever created. I feel glad you like the Obitsu body, too. Sometimes it “sighs” under that big and heavy head, but definitely has more advantages than downsides. 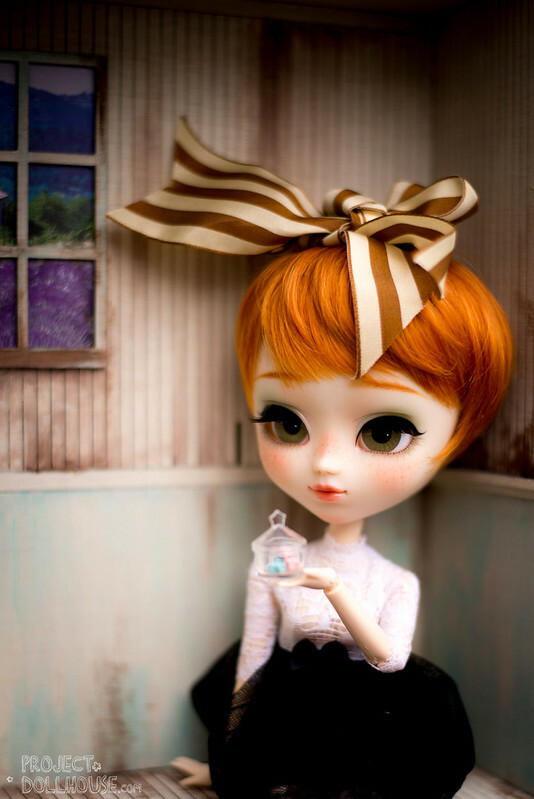 I never even tried to make Toffee dress in black&white, but she IS SO GORGEOUS with that Chu dress. So dainty and elegant indeed. It makes me smile and warms my heart to see you and her so happy together and she already got spoiled so much, I wonder what comes next! xD Wonderful photos! I think that stripped ribbon looks sooo good on her! I’m so happy to have spoken to you to get her home, I feel like I gained a friend as well! Aww! I remember her from Flickr! I faved her picture some time ago … I’m really glad you’ve got her. 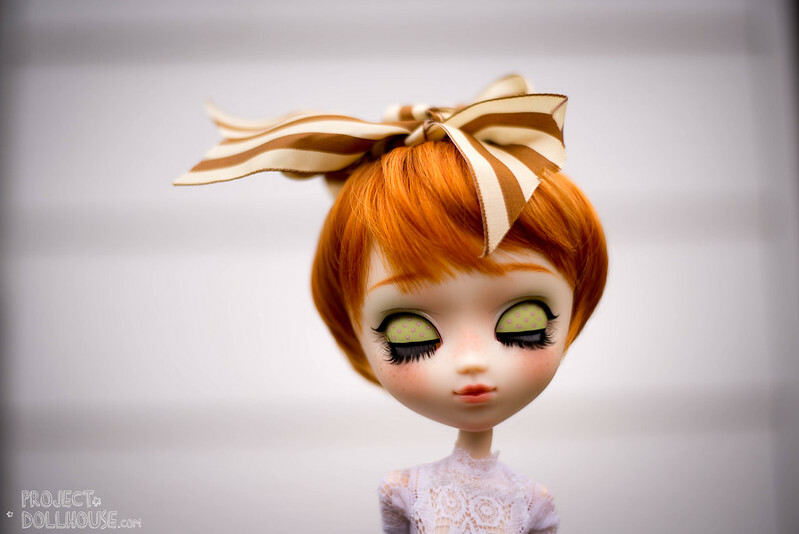 I think a beautiful doll deserves not only a loving home, but a talented and skilled photographer as well, so the rest of us can enjoy her pictures online 🙂 Her previous mom (Aquabliss) also make beautiful pictures. Thank you for your kind comment! I always want to improve with my photography and Toffee is an excellent model for me to do that! She’s gorgeous! 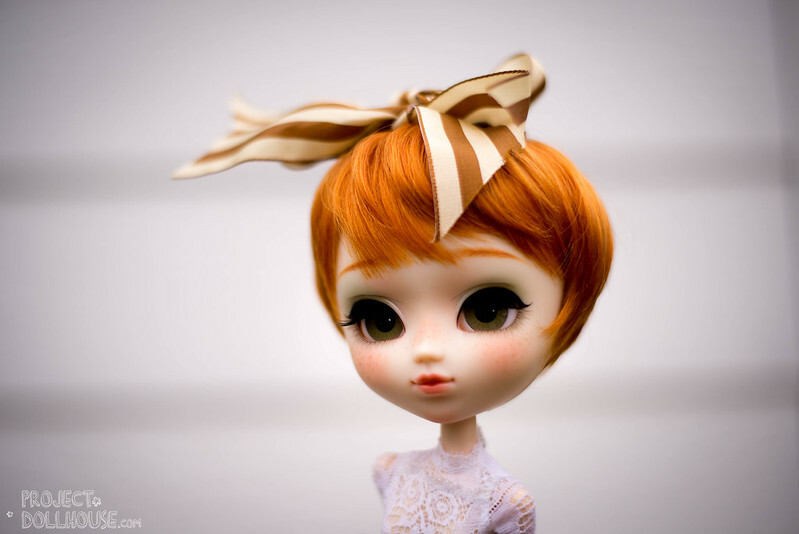 I’m just getting into Pullip dolls myself. Good to find your blog! Thank you for commenting! 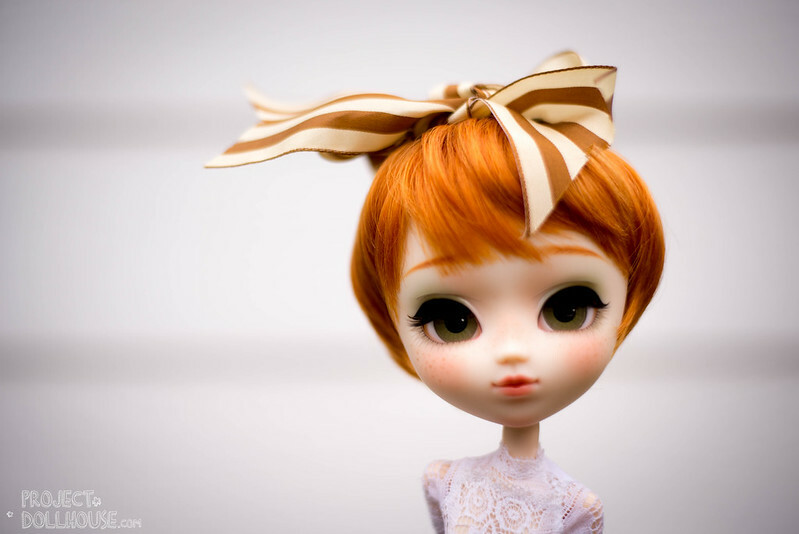 Good luck on the rabbit hole which is pullip collecting! It can be so addictive! ooooo! Which lucky girl was your first? Oooh Karen has that really crazy brunette hair right? She’s also got this amazing eye make up and face ^_^ congratulations, I hope you have fun with her!